S T Kimbrough, Jr., has been honored by The Hymn Society in the United States and Canada (THS) at its annual conference in St. Louis, Missouri, July 17, 2018, by being named a Fellow of The Hymn Society. This award, the highest honor given by the organization, was conferred because of Kimbrough’s work as a scholar, musician, practitioner of church music, and advocate for the inclusion of global hymnody in the church’s song. Born in Athens, Alabama, Kimbrough holds a doctorate in Old Testament and Semitic languages from Princeton Theological Seminary and is a graduate of Birmingham Southern College and The Divinity School of Duke University. 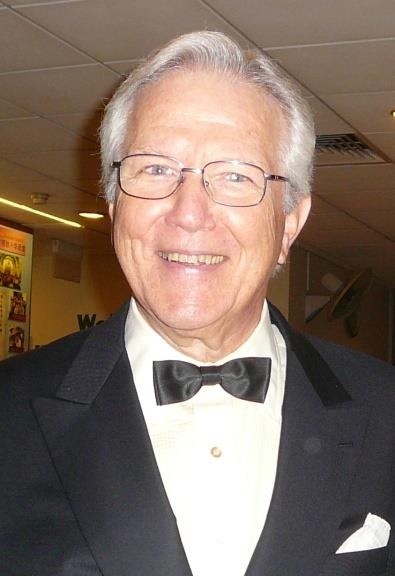 He is an internationally known scholar/musician who has published numerous books and articles on biblical, theological, liturgical, musical, and Wesleyan subjects, as well as on church history, ecumenical relations, Hebrew linguistics, opera, and musical theater. Kimbrough is also an award-winning singer specializing in turn-of-the-century Viennese composers whose baritone voice music critics for the New York Times acclaimed as “mellow, dramatic, elegant” and the Birmingham Post Herald considered “pure liquid gold.” As an ordained United Methodist Church minister, he has served churches in the USA and Germany, and for a number of years was Associate General Secretary for Mission Evangelism for the United Methodist Church. Kimbrough is currently a Research Fellow of the Center for Studies in the Wesleyan Tradition, Duke Divinity School, Durham, NC. Kimbrough has taught on the faculties of Princeton Theological Seminary, New Brunswick Theological Seminary, Bonn University (Germany), and Illiricus Faculty of Zagreb (former Yugoslavia). In the fall of 2004 he was the Bell Scholar at The Theological School of Drew University, and in the fall of 2006 he was the Distinguished Guest Professor at Wesley Theological Seminary. He has authored and edited many books including: Psalms for Praise and Worship, A Heart to Praise My God, Lost in Wonder, and Charles Wesley: Poet and Theologian, as well as several books on Methodism in Russia and the relationship between Orthodoxy and Methodism. Kimbrough was the founding president of The Charles Wesley Society and is regarded one of the leading authorities in Charles Wesley studies, with numerous volumes published on Charles Wesley studies. Kimbrough’s visionary and tireless work promoting global congregational singing in North America was embodied in his work as editor of the Global Praise program of the United Methodist Church. A three-volume series of global hymnody, Global Praise was accompanied by a collection of essays, Music and Mission; Toward a Theology and Practice of Global Song (2007) to guide, support, and encourage church musicians in leading global song. Other publications for which he was a lead editor include: Africa Praise, Caribbean Praise, Russian Praise, Songs for the Poor (Wesley hymns), Songs for the World (Wesley hymns with contemporary settings from around the world), Beams of Heaven (Charles Albert Tindley hymns), Put Your Arms Around the World (global songs for children). Kimbrough also spear-headed a program of United Methodist hymnals in Cambodia, Russia, Lithuania, and Latvia.